Spice your Life: Carrot Paratha | Quick Lunch Box for Kids | Announcing Kid's Delight - Holiday Special! 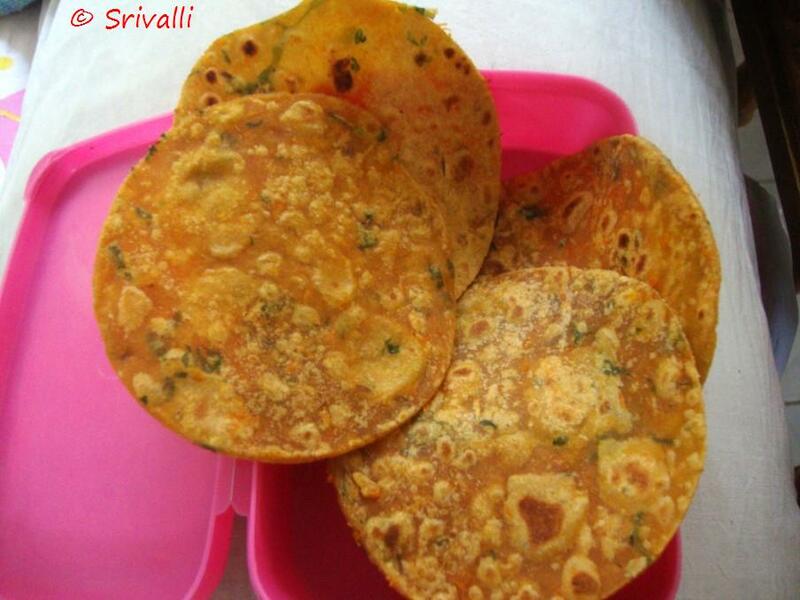 Carrot Paratha | Quick Lunch Box for Kids | Announcing Kid's Delight - Holiday Special! Carrot Paratha was something that Amma had made for Konda during my SFO trip. I had asked Konda to decide on a menu for her lunch during my absence so that lunch packing gets easy and stress free for Athamma or Amma, whoever was planning to make. 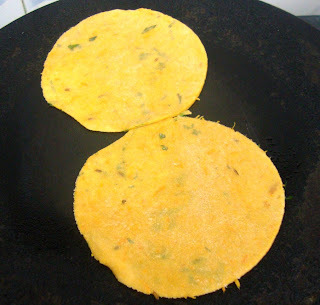 When I came back both of them were telling me of this carrot paratha that Amma had made for Konda's lunch. It came during discussion one too many times. Still I never came around making it. Finally today though it was a Saturday they were working because of Children's Day celebration. So I had to plan for both snacks and lunch. Boys also had their sports day celebrations. Chinnu won first place in running race, while Peddu was part of the Relay team. Apart from these Chinnu was in the Bunny March. We were so upset that we couldn't send Peddu for the March as he is still weak. But we all went for the program. Both the boys were given their medals, which they wore through the whole day. 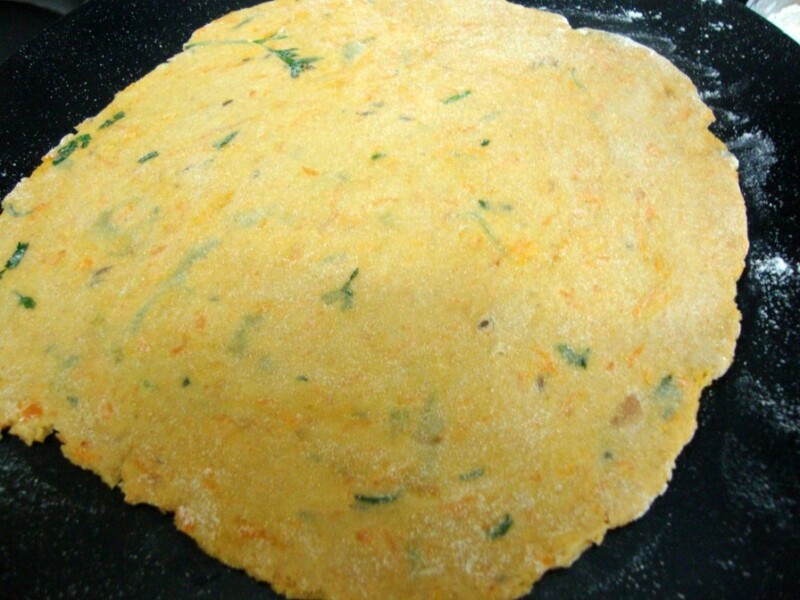 So in all that hurry, I managed to make these Carrot Paratha for Konda's lunch. Amma told me that the grated carrots have to be sauteed before mixing in the flour. Let's see how these are made! Knead into a soft dough using little water as required. Dust well and roll out into a big paratha. Cut out using mould you have into small parathas. Heat a pan, grease with oil. Cook these on both sides. Cook as many as your kids eats, allow to get cool if the lunch is going to be cold one. Pack it right away..This stays very good till evening, I haven't tried beyond that. You don't require a side dish along with this if you are serving to kids. 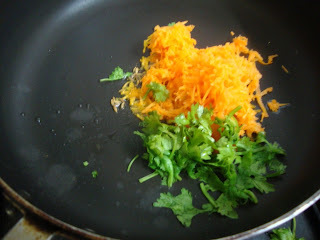 Grate the carrots, chop the coriander leaves. Heat a pan with 1 tsp oil, add the cumin seeds. Then add the grated carrots, coriander leaves along with chili powder, salt and garam masala. 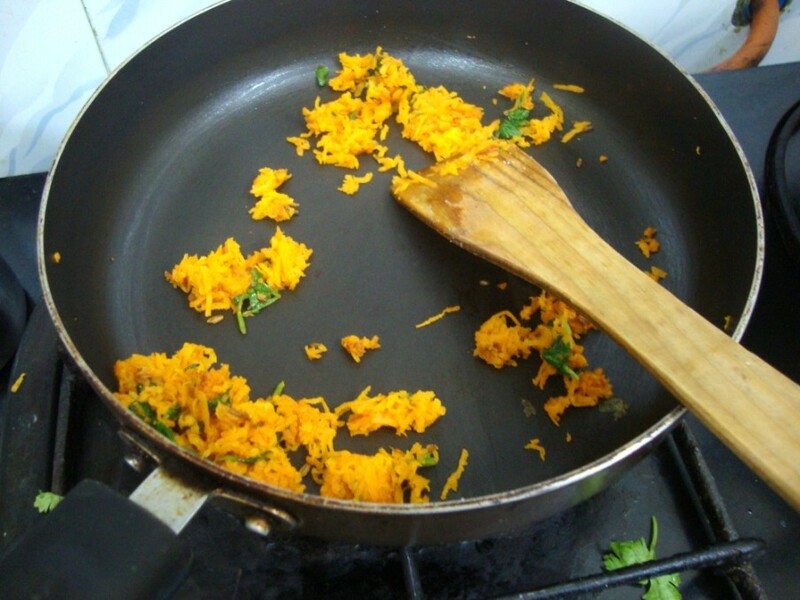 Saute for few minutes until the carrots are slightly gets cooked. 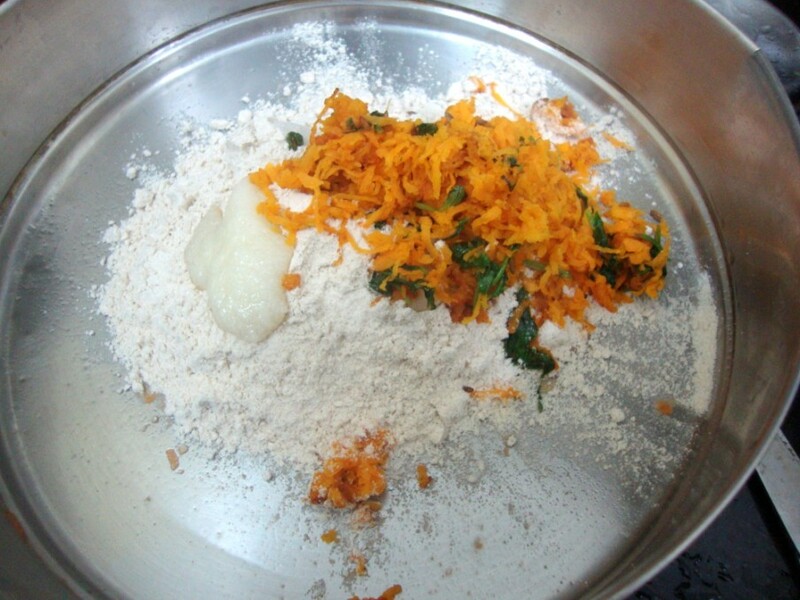 In a wide bowl, take the flour, add salt and the masala. Mix well. 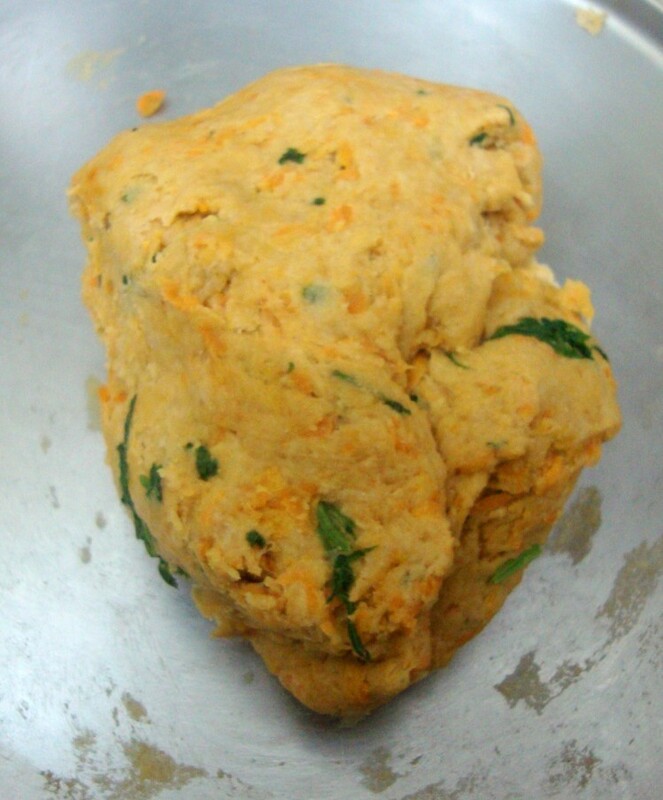 Slowly add the water to knead into a soft dough. 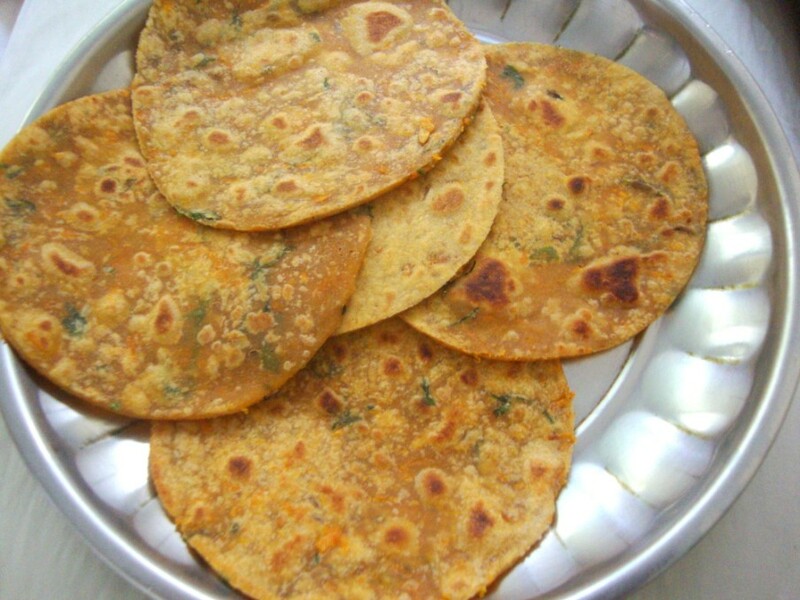 Dust with flour and roll out into a big paratha. Cut out into small parathas. Heat a tawa, grease with oil. Cook the parathas on both sides. 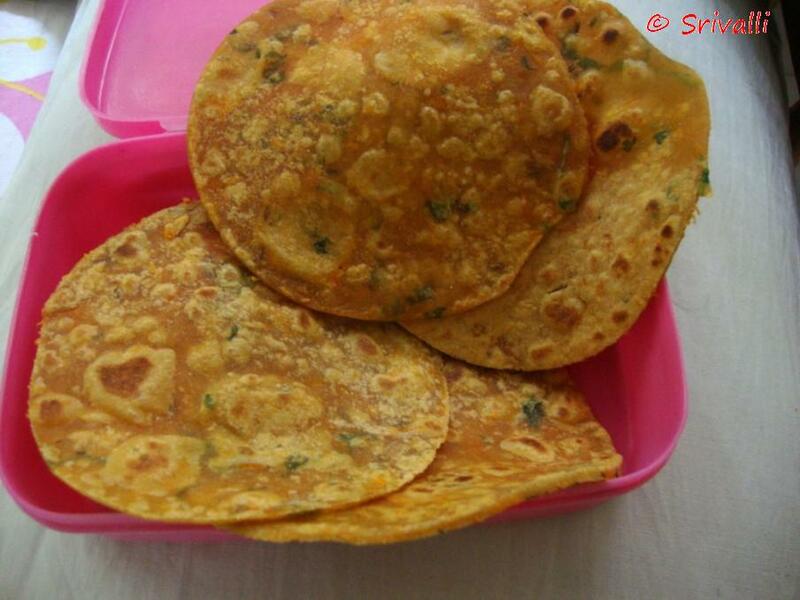 Pack the parathas for the kid's lunch. I know the Kid's Delight Finger Food Round up is still pending but somehow things just went on. Will be doing it next week. Meanwhile, please send in this month's theme entries. 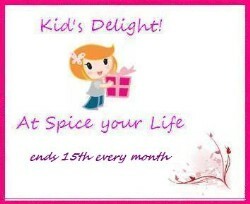 Please check out the rules and send in your entries either through the entry form or through email to spicingyourlife@gmail.com by 15th December 2010.